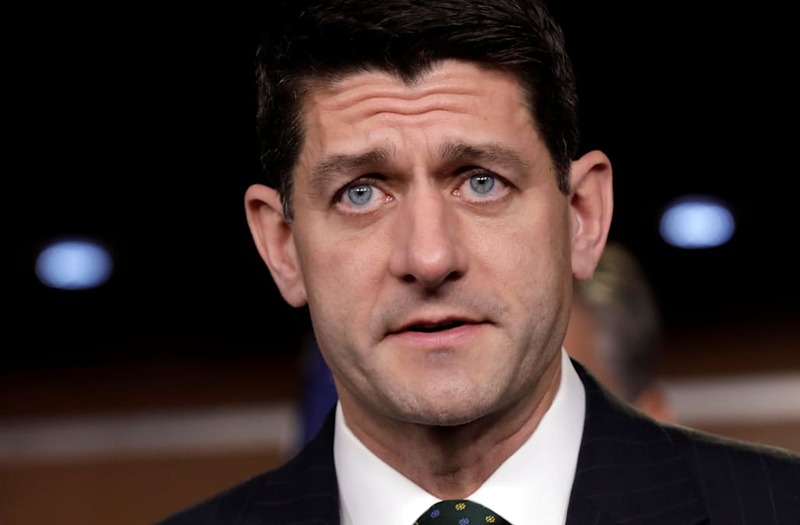 WASHINGTON, Dec 14 (Reuters) - Paul Ryan, the Republican speaker of the U.S. House of Representatives, would like to retire after the November congressional elections, Politico said on Thursday, but he said he was not quitting. "Ryan has made it known to some of his closest confidants that this will be his final term as speaker," the report stated. "In recent interviews with three dozen people who know the speaker — fellow lawmakers, congressional and administration aides, conservative intellectuals and Republican lobbyists — not a single person believed Ryan will stay in Congress past 2018." Asked by a reporter earlier on Thursday if he was quitting, Ryan responded: "I'm not, no," with a chuckle. Asked about the report later, a spokeswoman for Ryan, AshLee Strong, said: "This is pure speculation. As the speaker himself said today, he’s not going anywhere anytime soon." Ryan reluctantly took over as speaker in 2015 following the resignation of John Boehner, who had held the post since early 2011 after Republicans won control of the chamber from Democrats. House Speaker Paul Ryan has told President Donald Trump a report that Ryan was considering retiring was not true, the White House said. "The speaker assured the president that those were not accurate reports and that they look forward to working together for a long time to come," White House spokeswoman Sarah Sanders told reporters at a news briefing.